Find recaps videos, pictures, and details on all our past events here. Also, get a heads up on our upcoming events as well. 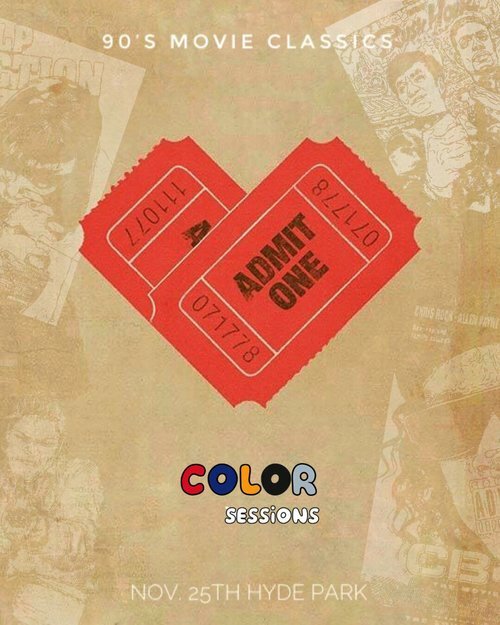 We can’t help but to be humbled by the success of the Color Sessions events Thanks goes out to every person that has supported us this far. In celebration of our 1 Year Anniversary, we are ending our stop where everything began. Wicker Park! Below are some details on this special event. X-Mas is a good time for bringing together many relationships in your life. From family to friend, the holiday’s are special. We present to you the 3rd stop in the Color Sessions Home Tour. When was the last time you colored while eating a burrito 🌯? MobiColor presents the Sixth installment of the Sip & Color Series! MobiColor & Dos Toros has partnered up to bring you a night filled food, coloring and relaxation. Dos Toros is a 💣up & coming food brand that knows how to do Mexican food right! Will Smith brought style, artistry, and culture to our home televisions throughout the 90s. From the funny comments to Carlton, the way he styled his clothing to the serious conversations with Uncle Phil, he showed Americans how to be cool in any environment. To honor what that show did for culture, we are dedicating this month’s Sip & Color to the Fresh Prince. When was the last time you colored? MobiColor presents the Third installment of the Sip & Color Series! We loved Kanye & Good Music 's G.O.O.D. Fridays eight years ago. In honor of what he gave us all those years ago, we're making our 1st themed Sip & Color dedicated to the KANYE & GOOD MUSIC! Culture defines so many things in our society. Here is a piece of culture for you to color. When was the last time you colored? MobiColor presents the first installment of the Sip & Color Series!